Little, Brown and Company, 9780316475358, 256pp. For readers of My Absolute Darling and Fourth of July Creek, a "riveting and timely" (Jess Walter) Montana story about the unbreakable bond between a young man and the abandoned boy put in his care, as old grievances of land and blood are visited upon them. Wendell Newman, a young ranch hand in Montana, has recently lost his mother, leaving him an orphan. His bank account holds less than a hundred dollars, and he owes back taxes on what remains of the land his parents owned, as well as money for the surgeries that failed to save his mother's life. An unexpected deliverance arrives in the form of seven-year-old Rowdy Burns, the mute and traumatized son of Wendell's incarcerated cousin. When Rowdy is put under his care, what begins as an ordeal for Wendell turns into a powerful bond, as he comes to love the boy more than he ever thought possible. That bond will be stretched to the breaking point during the first legal wolf hunt in Montana in more than thirty years, when a murder ignites a desperate chase. Caught on the wrong side of a disaffected fringe group, Wendell is determined both to protect Rowdy and to avoid the same violent fate that claimed his own father. 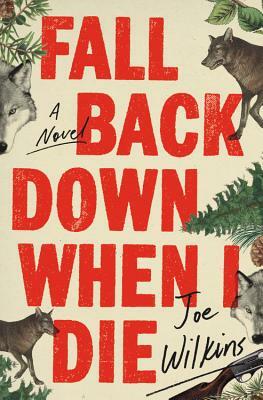 A gripping story set in a fractured and misunderstood community, Fall Back Down When I Die is a haunting and unforgettable tale of sacrificial love. Joe Wilkins's memoir, The Mountain and the Fathers, won the GLCA New Writers Award for nonfiction, and his work has appeared in the Georgia Review, the Harvard Review, and Slate, among many other periodicals. He is a Pushcart Prize winner and a finalist for the National Magazine Award and the PEN/USA Award. Wilkins lives with his wife and two children in western Oregon, where he teaches writing at Linfield College.